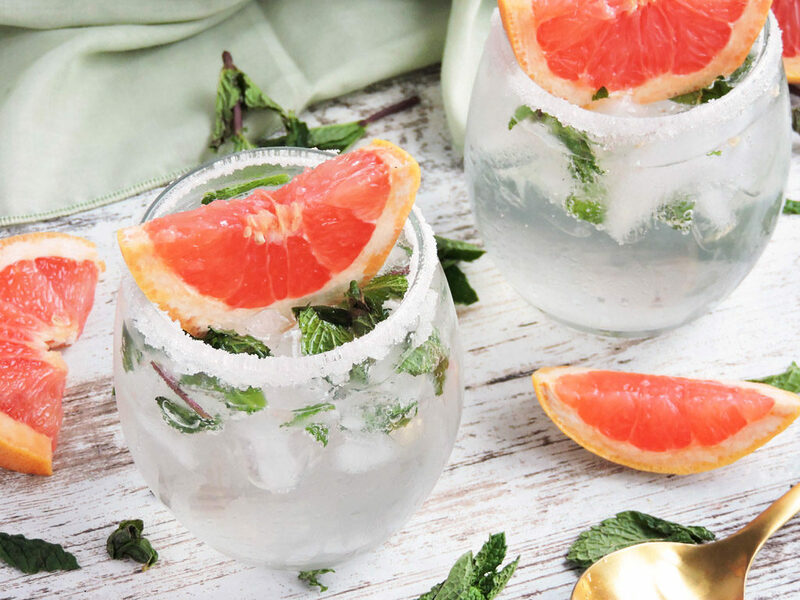 This Sparkling Fresh Mint & Grapefruit Spritzer is the perfect low-calorie and low-carb cocktail! Only 200 calories and 3 grams of carbs! Did y’all know that it’s citrus fruit season?? When I was younger, I always associated citrus fruit with summertime. I don’t know why…maybe it’s because citrus fruit can be so bright and happy! They just scream warm weather to me! Lol! I would say that my favorite citrus fruits are lemons and oranges, but lately I’ve been loving grapefruit! 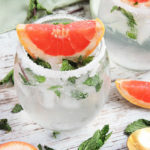 I’ve made some pretty good grapefruit cocktails before, but this Sparkling Fresh Mint & Grapefruit Spritzer is definitely my favorite! It’s not too sweet, and it’s very refreshing! Whenever I make a cocktail, I just love to use fresh fruit and herbs because it adds the perfect amount of freshness and deliciousness! 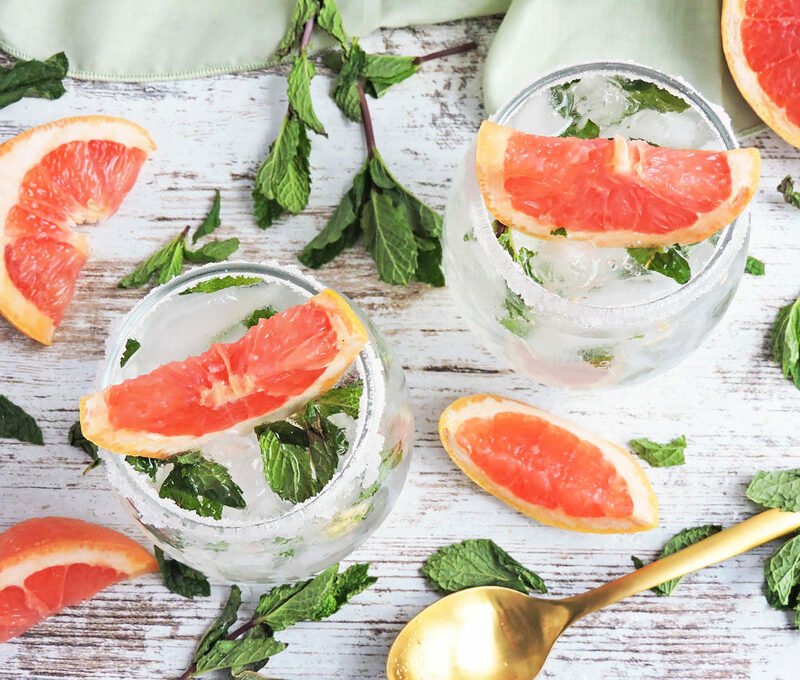 For this Sparkling Fresh Mint & Grapefruit Spritzer, I used fresh mint and fresh wedges of grapefruit. 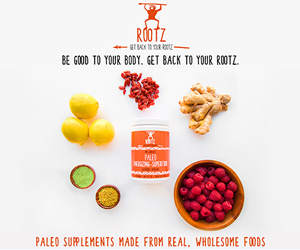 I combined those flavors with rum and a grapefruit-infused sparkling mineral water! Those flavors were absolutely perfect together! 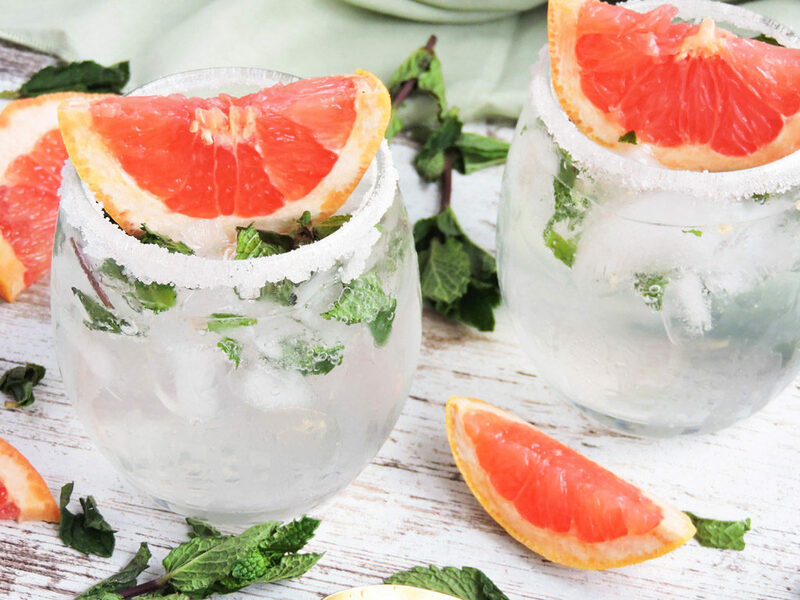 And the best part is that this Sparkling Fresh Mint & Grapefruit Spritzer is low in calories and carbs! There’s no added sugar (if you don’t include the sugar on rim), and the juice from the grapefruit gives it just the right hint of sweetness! 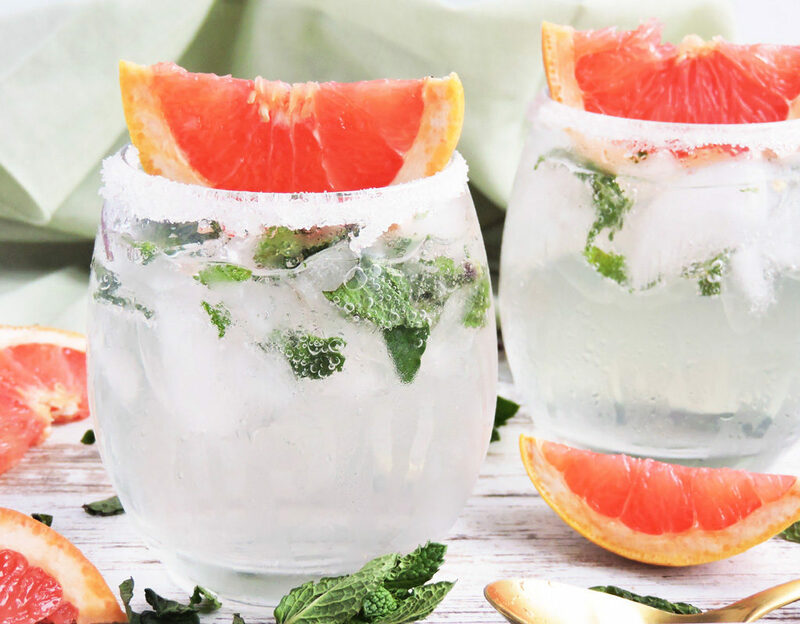 My favorite way to enjoy this cocktail is to serve it over ice with extra mint and a slice of grapefruit on top! It’s the perfect way to relax after a long day! What’s your favorite way to unwind? I would love to hear about it in the comments below! For more delicious cocktail inspiration, Follow me on Instagram and Pinterest! Rub the rim of a short cocktail glass with a grapefruit wedge. Swirl the rim through a small pile of sugar. 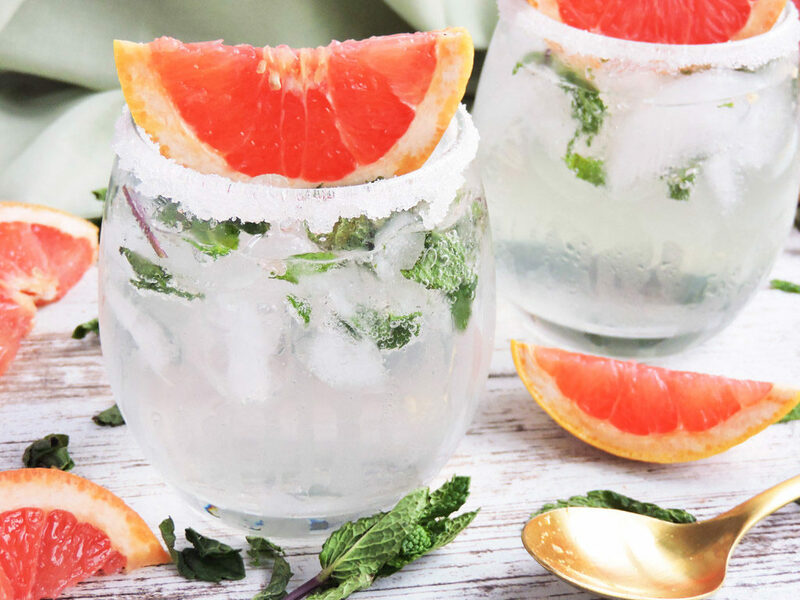 Add mint leaves, 2 grapefruit wedges, and 2 shots of gin to shaker. Muddle for approximately 15-30 seconds to make sure that all of the flavors are combined. Add ice to the sugar-rimmed glass and pour drink into glass. 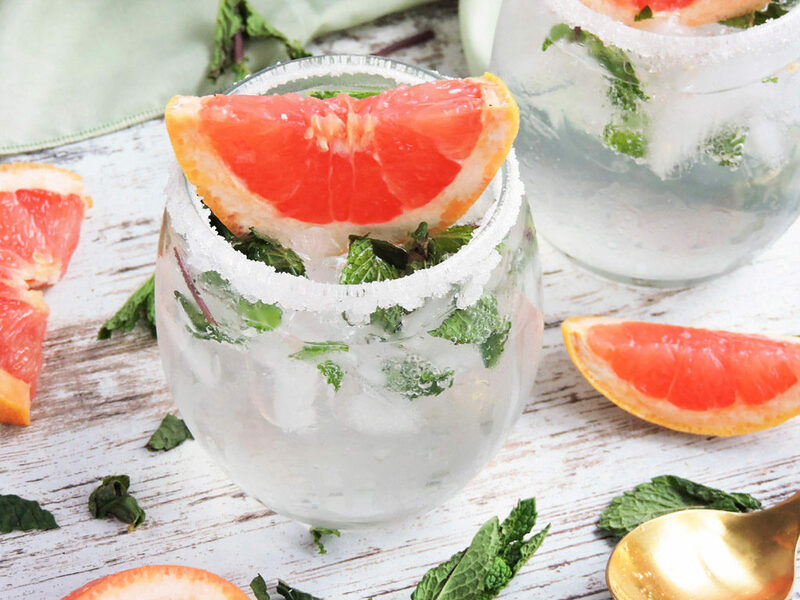 Top with grapefruit-infused sparkling mineral water and stir. Add additional mint and grapefruit to glass if desired.